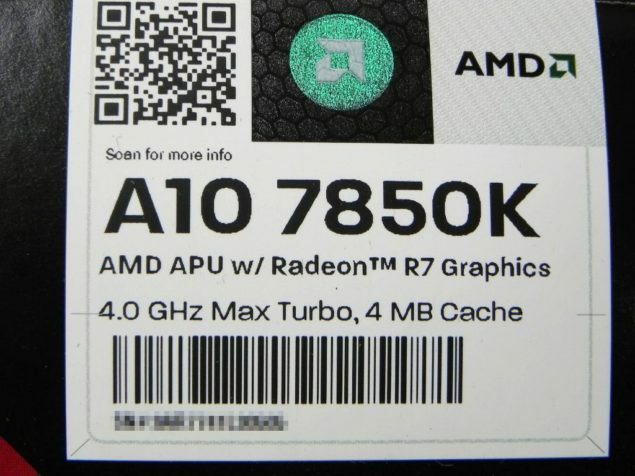 With just a few days left in launch, leaks regarding the AMD Kaveri A10-7850K and A10-7700K are pouring in from all corners of the internet. Japanese site Hermitage Akihabra has revealed the first pictures of the A10-7850 Box packaging which will be available on retail on Wednesday morning. Image is courtesy of GDM.OR.JP! Designed for breathtaking immersive audio, AMD TrueAudio Technology sets a new level of immersion.Hear your enemy’s every move and anticipate their next. The launch lineup will consist of two APUs, the A10-7850K and A10-7700K but the lineup would be expanded in the future with new SKUs. 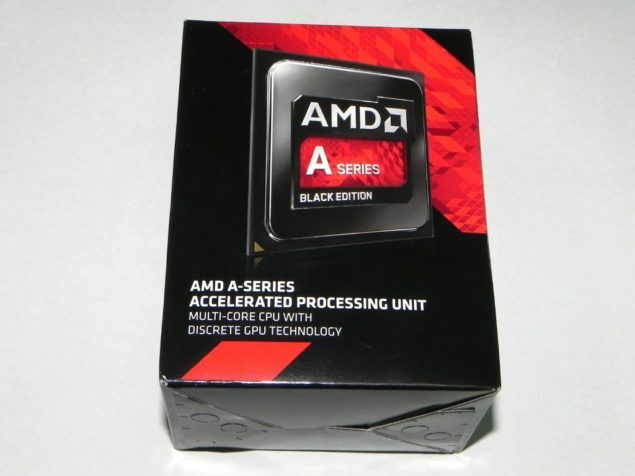 As for prices, the A10-7850K will retail at $172.99 US while the A10-7700K will retail for $151.99 US. 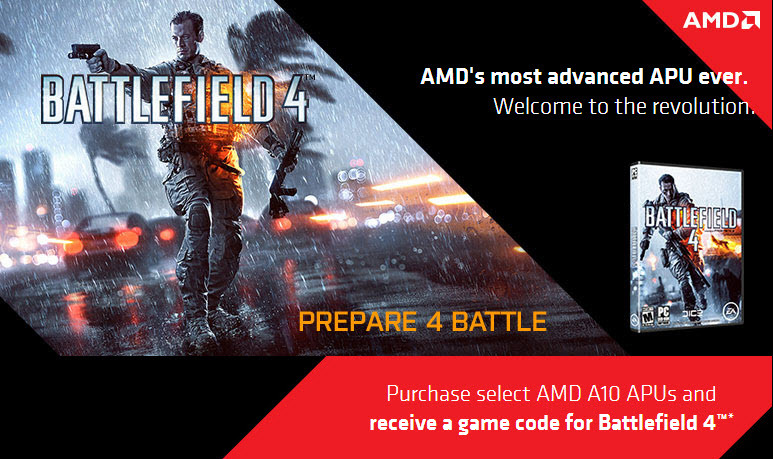 AMD will bundle both products with a code of Battlefield 4 which is DICE’s biggest FPS shooter this year and will soon be updated with the new Mantle API patch which would bring faster performance to the gamers. Several PC makers are already shipping systems with Kaveri APUs but the DIY enthusiasts have to wait for four more days to get their hands on AMD’s next accelerated processing units. Do note that a BIOS update on the FM2+ motherboards is compulsory to support Kaveri APUs. So make sure you update the FM2+ board while you have your Richland and Trinity APU running. The A10-7850K as expected would be the flagship Kaveri APU of 2014 boasting 4 Steamroller cores, 4 MB L2 Cache and clock speeds of 3.7 GHz base and 4.0 GHz turbo. On the graphics side, the APU would feature 8 Compute Units resulting in 512 stream processors clocked at 654 MHz base and 720 MHz in boost. The APU is fully unlocked allowing users to overclock the chip past the limits and supports DDR3-2133 MHz and comes in a 95W TDP package. The A10-7850K would cost $173 US officially. The A10-7700K is another unlocked chip featuring the Steamroller core architecture with a max boost clock of 3.8 GHz and base clock of 3.5 GHz. It features 4 MB of L2 cache while the GPU side ships with a GCN graphics die featuring 6 shader units equaling to a total of 384 Stream processors clocked at 720 MHz. The A10-7700K features a TDP of 95W so we may see one Kaveri APU part to feature 65W TDP. The A10-7700K would cost $152 US officially.